Snaps food containers are lightweight, leak proof and made from high quality, food grade 304 stainless steel. Use these instead of or combined with other BPA free plastic containers. 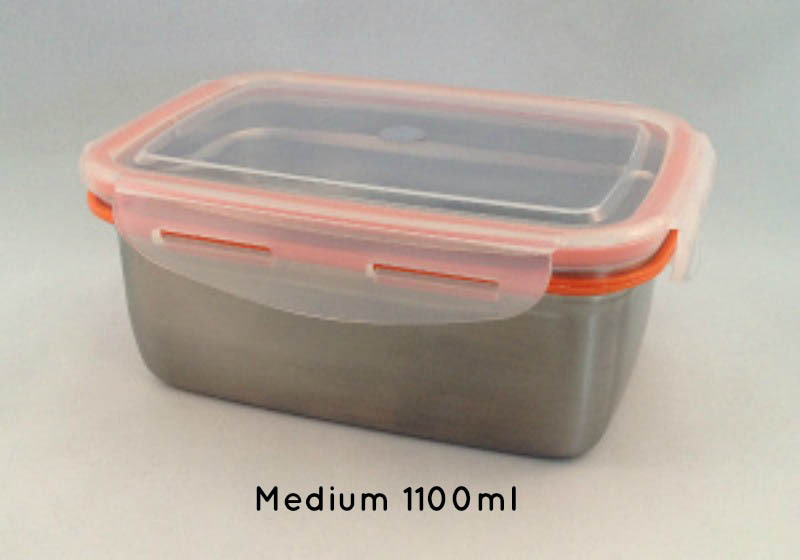 Suitable for use in lunchboxes or everyday use at home these stainless steel containers are a useful and long lasting addition to any collection. 304 Food Grade Stainless Steel, which does not leach, stain, or retain tastes or odours. 100% Safe! Free from BPA, Lead, Phthalates and Paint. 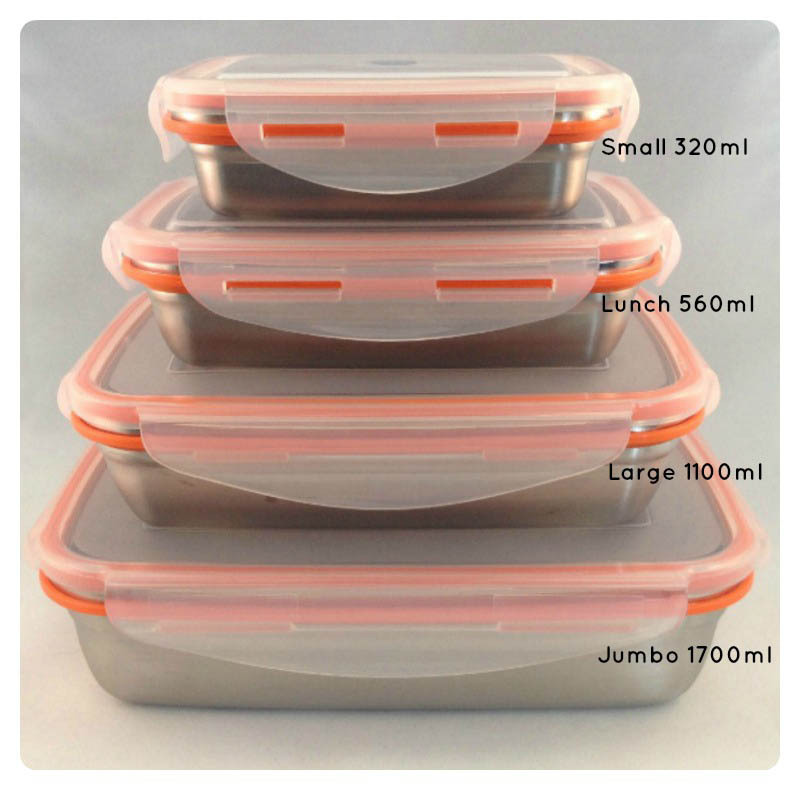 Clear lids are made from food safe polypropylene plastic with a Double air chambered silicone seal that keeps food fresh for longer. Not suitable for use in oven or microwave. Snaps offer you a lifelong solution to food storage.